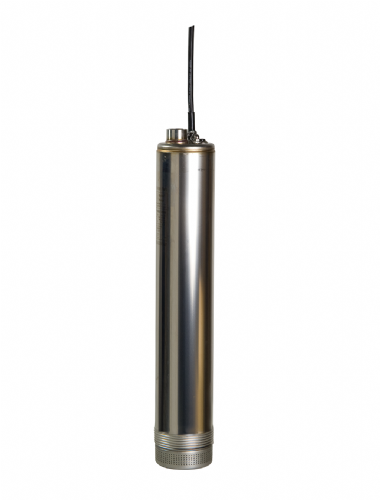 We supply a range of water pumps with a high-head, designed for shafts, wells, boreholes, and irrigation. High-head pumps are designed to create high water pressure, allowing water to be pumped to great heights, or over long distances. The head is the maximum height of a vertical column of water that the pump could support if there were no other losses in the system. This will be different for a submersible pump compared with an engine pump. How to Work out the Correct Head you Require? 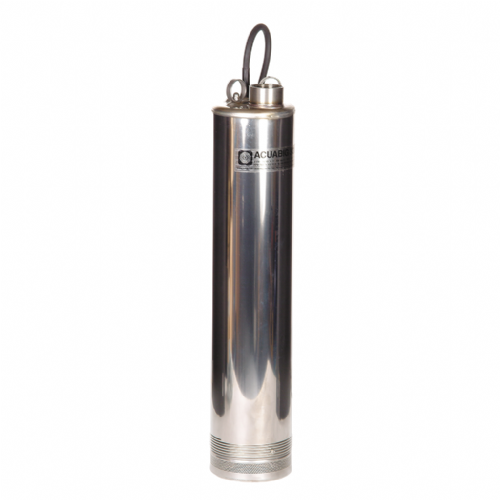 If you have a submersible pump positioned in a well or sump etc. you will need to know how deep it will be positioned (in meters), then you can work out the total distance from the pump itself to where you are discharging the water. This distance will be the minimum vertical head that you will need. Once you know the vertical distance between these two points you will then need a pump with a head height greater than this distance. If you are pumping vertically and horizontally you will also need to take in to consideration the total horizontal distance. You should work by a rule of thumb that for every 10m horizontal distance covered you will use up 1m of vertical head from the pump. If you open the PDF data sheets with our products, they include a ‘Pump Curve’ graph which displays the characteristics graphically and describes the relation between the flow-rate and the head for the pump. If you are pumping 5m up and 20m across you will need a pump with the head of a minimum of 7m as the 20m horizontal distance will use up 2m worth of vertical head. However, if you are using the pump to connect to pipe work and not a hose you should take in to consideration any bends or connections as these will contribute to any head loss. 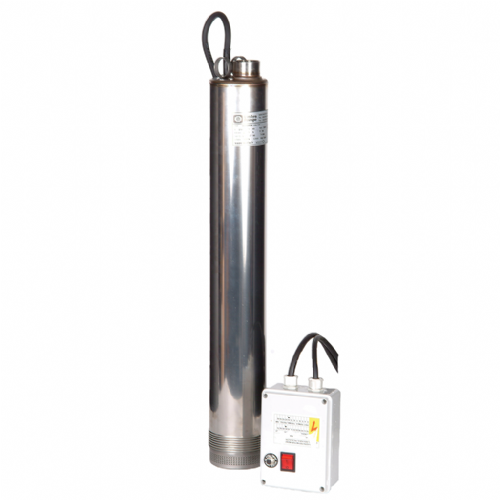 Pumps with a greater head height are always longer/taller than standard submersible pumps as you can see below. This is a comparison between 500w pumps. 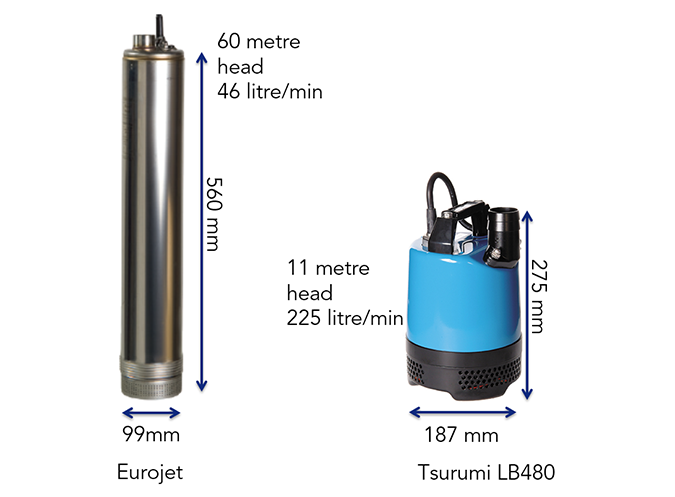 Comparison of 500w pumps (Both pumps below are 500W submersible pumps. The left one has a high head). You will find that the higher the head the lower the flow rate will be and vice versa. We have over 25 different variations in this section, ranging from head heights 20m to 90m. The Acuasub range is very popular thanks to the high-head that the range offers, of up to 90m head height. We recommend looking at the data sheets which include a graph of the head height v flow rate to ensure you have the right pump. These are displayed on each page for that particular pump.